The development has been completely redesigned by Musson Cattell Mackey Partnership (MCM Architects) from a previous proposal already approved by the City of Surrey. 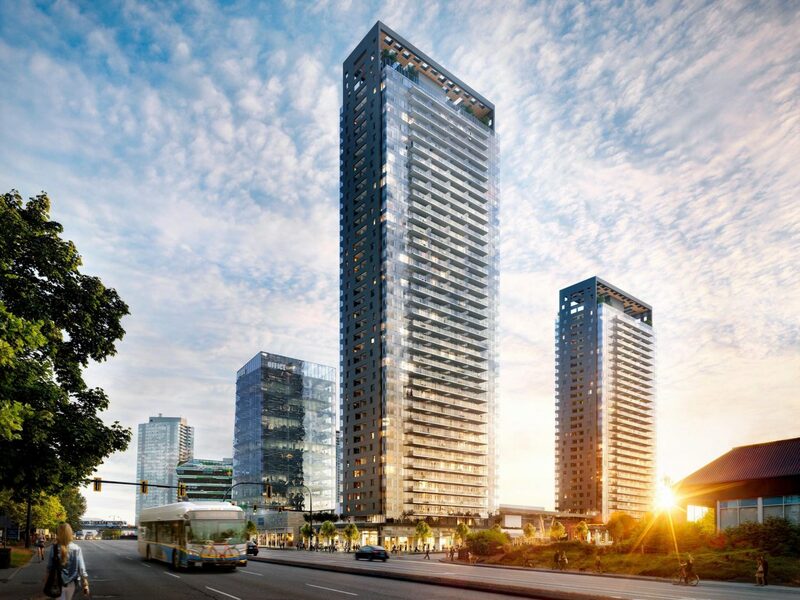 Sales for units in the 39-storey tower will begin this fall. The 29-storey tower will be marketed at a later date. One and two bedroom units will be offered in the first tower. The developer says King George HUB will feature modern interiors and spectacular amenities adjacent to the King George Station Expo Line and two future LRT lines. The project is located near another upcoming Surrey building, the mixed-use Hampton hotel and condominium project. PCI Group is the developer behind Marine Gateway development surrounding the Marine Drive Canada Line station.